After doing a major closet clean out a few weeks ago with my friend Melissa, I realized that I had a serious deficiency in the tank top department. I've been on the hunt and when I saw this floral top on major sale last week on Piperlime, the deal was too good to pass up. 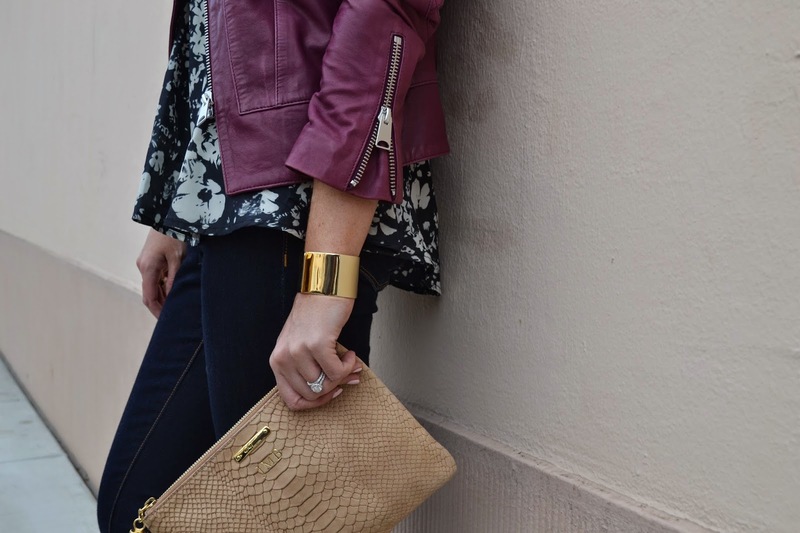 When paired with my plum moto, it's a great fall look for both day and night (see the day look here). PS - Piperlime is currently offering 30% off your purchase of $200+ using code HOLIDAY30. Happy shopping!